Its Mawsynaram and Cherrapunji all the way, none had the chance to catch them. Agumbe has got only 1323 mm and Amboli around 1250 mm is not in the list. The surprise is 2 stations from Tamil Nadu has made into the list it is not Chinnakallar or Devala. Its Parsons Valley and Avalanche from Nilgiris district. This data is only for Vagaries, Kea Weather and Tamil Nadu Weatherman. I kindly request you to put source of this blog, in case you are trying to copy and paste the above in any other blog or website. Compiled by Pradeep for Vagaries. All India is +7% till date. Bhatsa 326, Vaitarna 89, Modak 64,Tansa 29,Tulsi 5 , Vihar 8, Middle Vaitarna 129. Total Storage 650...33% taken as wastage, leakages, evaporation etc, Mumbai has actual 433. And supply at 3.7 Mcum, city has 117 days of Water supply. Source WRD (Mah Govt) . All Major and Minor reservoirs of Marathwada have a total live storage of only 7% as on date. Jayakwadi has only 1% storage, and Lower Terna, Majalgaon and Manjra reservoirs 0% ! 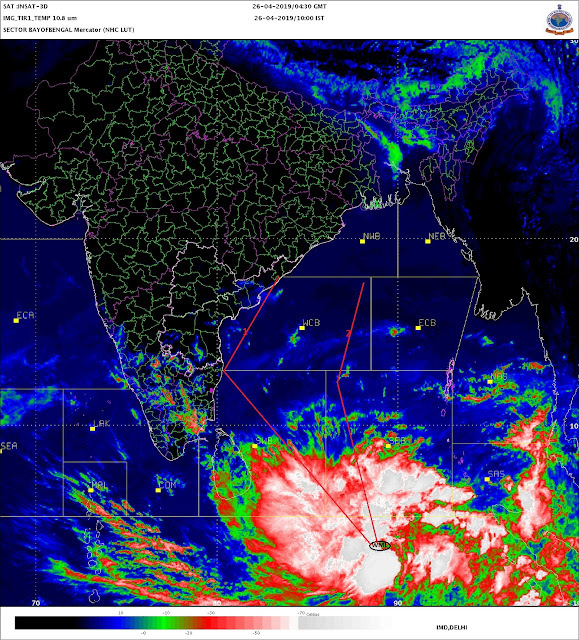 As the reasons were explained, rains were seen in the Eastern States of Odisha and W.Bengal, and NE last 3 days. And weak monsoons elsehwere. ( Monsoon will be weak for a couple of days now in East also). Monsoon remains weak in the Peninsula next week also. But as mentioned in the 1st July Post, Point no. 4), a WD will bring rains to Punjab (India and Pak), and to Kashmir, H.P. and Utterakhand. 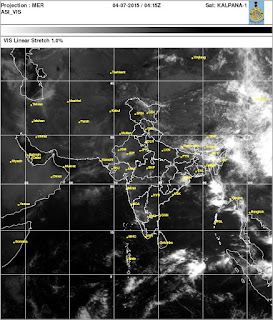 Nepal will benefit from the inter action of WD and Monsoon axis. All this from 7th July. Point no. 5 of 1st July post holds valid, and S.W. Monsoon may move into Rest of Sindh and Pakistan from 7th July. Where is this shiragaon located in maharashtra.? Shiragaon is located in Ratnagiri district.Here is shiragaon and Patherpunj. The failure of "expected rainfall" in Chinna Kallar is an indication that the paradigm shift in SWM activity is to Eastern side of India or especially strong in the Bay branch. However the SWM pattern till July third indicates that SWM is Normal on Arabian Sea too. But JULY being the representative month for SWM, one has to wait and see. Because the (a) The Mascarene high is showing weak trends. (b) Expected Easterly Jet [TEJ] is not strong or pronounced over Chennai latitude. What is the cause of this heat wave in Europe? usually now it is spring time for Europe after which august/September autumn starts all trees shed leaves (yellow colour) giving way to snowy winter. Best part being we can see natures all 4 seasons colours - of course in India northern hills parts also this can be seen. But some times Europe gets more heat during spring which they enjoy - it is rare event. Kaneyen: Thanks for your views. I am not sure that the Mascrene high plays a role at this stage of Monsoon. Initial stage for progress and strengthening of cross equatorial cross winds. 200 hp jets streams are season makers. Kanyen. Yes Chinnakalllar very poor rainfall. But nilgiris got excess any co-relation.